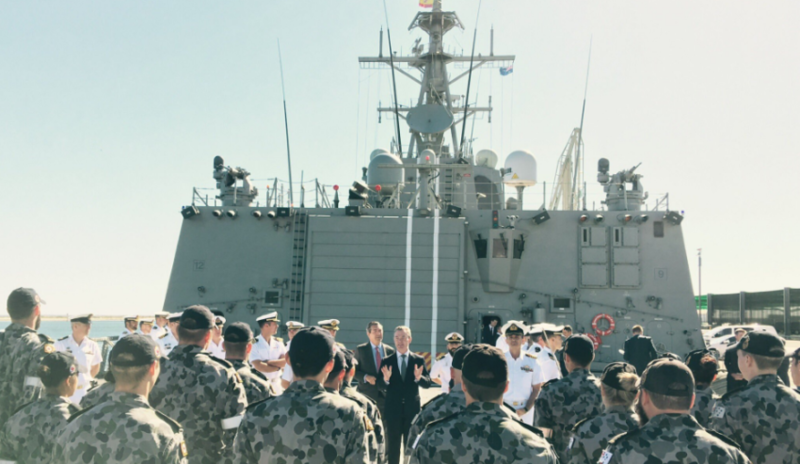 One of the three tenderers for the SEA 5000 Future Frigates Program has praised the Australian industry and the engagement across all states and territories. Navantia Australia's managing director Francisco Barón spoke with Defence Connect about the company's SEA 5000 industry days across Australia, with Barón speaking highly of the industry's participation. "There is a lot of interest, we need to filter," Barón said. "The people have to be able to be up to the quality the customer [the Australian government] requires, but the first step is getting interest and that is there and that is [a] very solid starting point." Barón's comments differ to those of DCNS' then director of strategy and communications Brent Clark, who asked more key players in the industry to come forward and participate in the Future Submarine Program at a public hearing held by the joint standing committee on treaties in March. "We’re a little – both ourselves and I shouldn’t speak for the Department [of Defence] – but ourselves and the department are a little disappointed in the uptake of this with Australian companies," Clark said. While, privately, some in the industry have questioned whether South Australian SMEs will be preferred for work given the build will take place at the Osborne shipyard, when asked if any sate has stood out, Barón said it is all about capabilities, not location. "There have been over 100 [participants] in all of the states [industry days], maybe Adelaide could be because there is more local industry over there where the shipyard will be placed. But ... there's not a real difference," said Barón. "All across Australia there is a lot of interest and we have explained, it's more about capabilities than geographic situation because the supply chain is after very specific services. "Let's say the main activity of the assembly is happening in Adelaide, the rest can come from elsewhere you know, so it doesn't matter if a piece of equipment comes from Darwin or Brisbane, it's just a question of having the right product to deliver. There has been a very high interest all over Australia, the message of the government in regard to the commitment to the shipbuilding plan is putting people in the race, so it's very good."